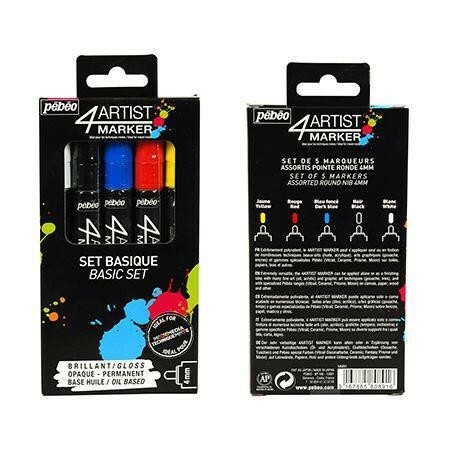 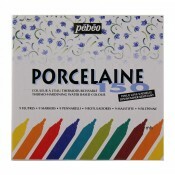 Pebeo 4 Artist Marker Set of 5 Markers assorted round Nib 4mm colours: yellow, red, blue, black, white. 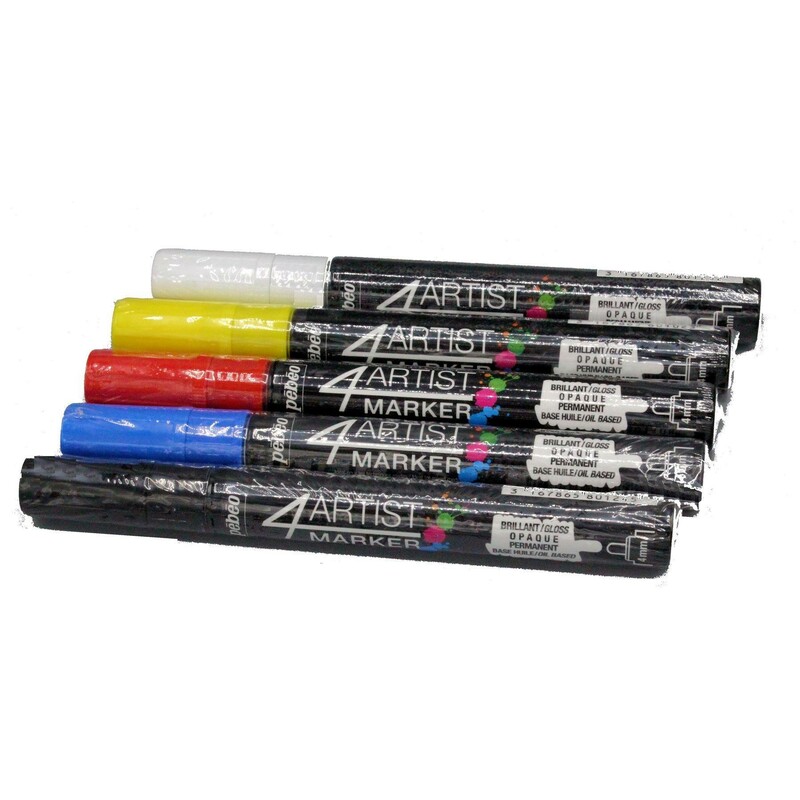 Gloss Opaque, permanent Oil Based. 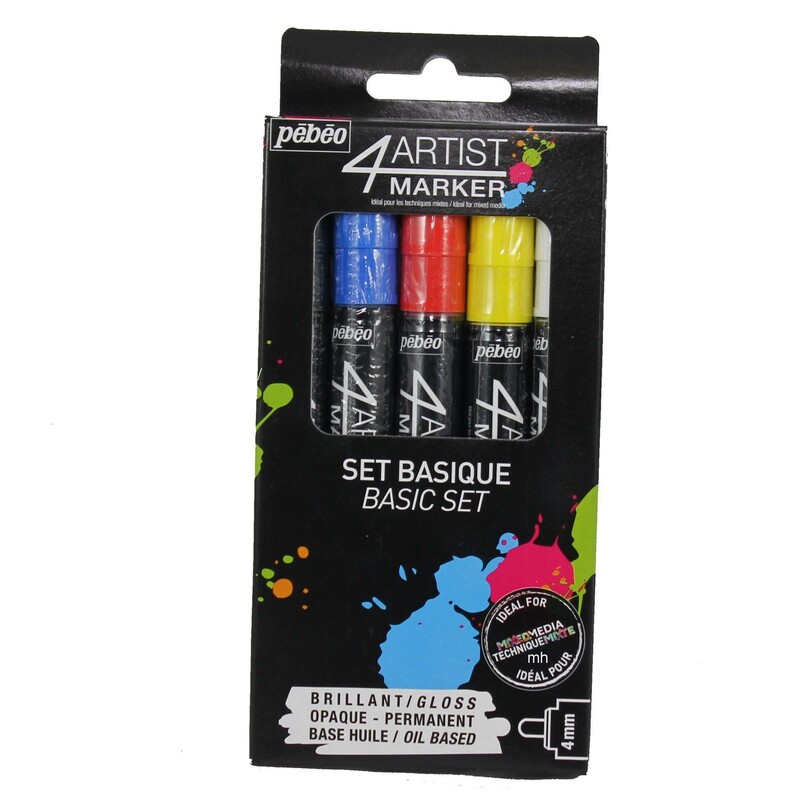 Ideal for mix media. 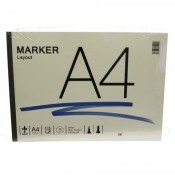 Extremely versatile, the 4 artist marker can be applied alone or as finishing step with many fine art (oil acrylic) and graphic art techniques (gouache inks) and with specialized Pebeo ranges (Vitrail, Prisme, Moon) on canvas, paper wood and other.